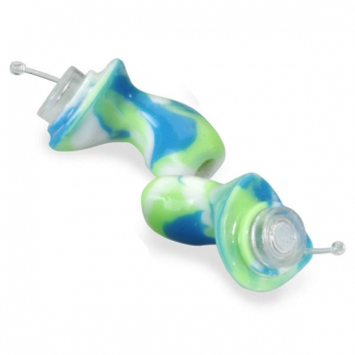 If you are a musician, or a frequent concert attendee, consider musician’s earplugs. While foam plugs work well for general protection, musicians tend to avoid them because they attenuate some frequencies more than others, thus distorting the sound. Custom musician’s earplugs have a filter in them that allows for a flat attenuation, putting the volume into a safer range, while preserving the integrity of the original signal. These filters come in different levels, depending on your needs.